Situated between the Atlantic Coast and the Delaware Bay, Cape May is a peninsula and one of the oldest seaside resorts in the nation. 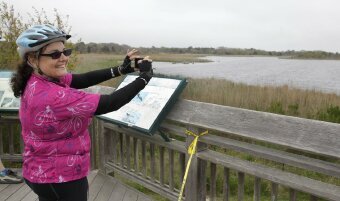 Flat roads and slow-moving traffic make Cape May perfect for biking. Come explore the natural beauty of the southern tip of New Jersey on this leisurely long weekend bike tour. The best of all may be that everyone can have her own room in our beautiful inn at no extra charge on this tour! Flat on paved roads. Beginner to moderate cycling ability. 3 nights lodging in a single room, 3 breakfasts, 2 picnic lunches, 2 dinners, snacks, detailed cue sheets, van support & trained guides. Fly or take the train in and out of Philadelphia. WomanTours will provide an optional shuttle at 10:30am from the airport to the start of the tour for $30 one-way. We will return you to the airport by 2:30pm on the last day of the tour. "Everything was perfect including the weather! The B&B breakfast and afternoon tea snacks were so wonderful I actually bought their cookbook with the recipes. I expected a nice dinner but the places that we ate at were spectacular. I had planned to hopefully lose a few on this trip, but unfortunately that was not the case - but what the heck I had a wonderful time!" DAY 1: We meet in Cape May, New Jersey, one of only five cities in the US that is officially designated an Historical Landmark City. 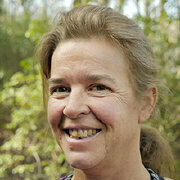 The area is full of charming Victorian homes, lighthouses, a bird sanctuary, bays, beaches, and wetlands. One charming inn will be our base for the tour, so you can unpack your bags. Everyone will have her own room on this tour, unless you'd prefer to share with someone. 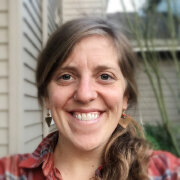 Come dressed and ready to bike for our orientation at 1:00pm. Then we’ll conduct a rental bike fitting and have our first bike ride. We’ll cycle past the 157’ tall Cape May Lighthouse, built in 1859. It is one of the region’s most painted and photographed landmarks. We’ll also pass a bird sanctuary and an old historic nunnery. If you arrive early, take the time to stroll along the Washington Street Mall, a three-block pedestrian concourse lined with clothing boutiques, kitschy souvenir shops, toy stores and ice-cream shops, or along the beautiful white sand beach. We will have our first dinner together tonight. 17 miles. 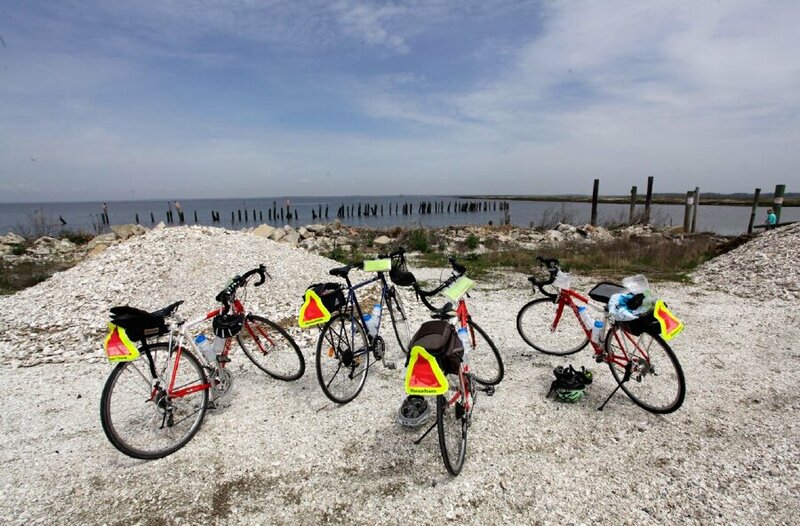 DAY 2: Today we ride on quiet country roads and along the beautiful shores of the Delaware Bay. We’ll cycle past lush farmland, stopping at Bay Springs Farm. It is a preserved working farm, situated on what was the last dairy farm in Cape May County. Today it is the site of a large alpaca farm with more than 26 animals in a wide range of colors. We’ll stop for a picnic lunch overlooking Delaware Bay and then head back to our inn. 23 or 43 miles. 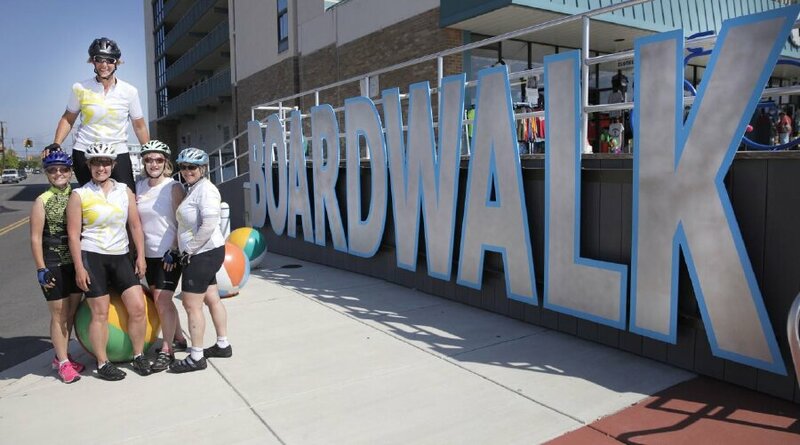 DAY 3: After breakfast together, we’ll begin our ride up the Atlantic coast to Wildwood, voted “Best Beach in N.J.” and home to over 200 motels, built during the Doo-Wop era of the 50s and 60s. 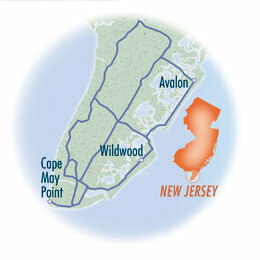 From there we’ll continue on to Avalon, famous for being a South Jersey seashore resort. It has the motto “Cooler by a Mile”, because it juts out into the Atlantic Ocean about a mile farther than any other barrier island resort. Finally, we’ll head to the cozy oceanfront village of Stone Harbor. The summertime beachgoers shouldn’t be there, so we’ll have the beautiful beach to ourselves. 21 or 39 miles. DAY 4: Our final ride together will take us through streets of Cape May lined with Victorian homes to the coast guard station and a lookout tower over a partially-sunken concrete ship. We’ll have one last picnic lunch together before we say our good-byes. Then WomanTours will provide a shuttle to the Philadelphia airport, arriving by 2:30pm. 16 miles.